That Artsy Librarian | Just Finished My Second to Last Semester! It’s been a while since I’ve talked about my grad school experience, so I thought I’d do that today! I feel like I’ve been in school forever… And I have. I’ve been in grad school for three years. I honestly can’t believe it. I never thought I’d ever go to grad school, much less do a program that takes almost as long as my undergraduate degree. I just finished up my second to last semester, and I took library marketing and collection development classes. In marketing I spent the semester writing marketing plans for a local library. The first plan was for the ENTIRE library: all of the services and programs available there. It was so complicated and long… 20 single-spaced pages. The second plan was just for the library’s teen services department and it was 16 single-spaced pages. It was fun, but super stressful because I was never really clear on what my teacher wanted. lol. I also made an 8-minute powerpoint audio/visual presentation for my first plan. The course also required I write reviews of scholarly publications and participate in weekly discussions on our required readings. It was a very intense course. My collection development course was interesting… I was paired up with a classmate and we had to put together a 15-minute audio/visual presentation on weeding library collections. I also did a group assignment on the principles of collection development, which I did not find incredibly useful. The bulk of my final grade came from a 20-item collection I developed for the same library I used in my marketing class. I decided to do it on art and its influence on popular culture. Seeing as how I got my undergrad degree in art history, I thought this was a really fun topic and I enjoyed my 20+ hours of research. Not only did each collection item have to fit the theme, it also had to have positive professional reviews from publications such as Kirkus and Publishers Weekly. I spent a lot of time researching those and quoting them in my justifications for each item. I also had to fight for why the collection was necessary, how I would maintain the collection and add to it in the future, and I had to include an itemized list of prices and vendors. I also had to design a marketing tool to advertise the collection to the general public. We all know graphic design is my thing, and I made a large format poster that looks awesome. I’ve always enjoyed collection development, and this was the third collection I developed for my program. I’ve also done a children’s picture book collection on multicultural friendships and a teen collection on post-apocalyptic topics (fiction, graphic novels, non-fiction, reference, DVDs, CDs, etc.). I find collection development to be a bit of a treasure hunt and I have a lot of fun searching for items. This has been something I’ve learned about myself since I joined the program, and I’m actually surprised! It’s a good kind of surprise, though. This was probably the most work intensive semester I’ve had, hence the lack of activity going on here on the blog. I’ve done my best to keep up, but I know things slowed down a lot. I did get A’s in both classes, though! 100% in marketing and 99% in collection development, so my devotion pid off. Now I have a few months off to read and relax and enjoy the summer before jumping in to my final semester. I’m taking my last class this fall, and it’s my capstone course. Essentially, I will be designing and conducting a research study. My final paper of the program will be discussing the results of that study and their applications and relevancy to the field of information science. I already chose my topic, but more on that in a later post! 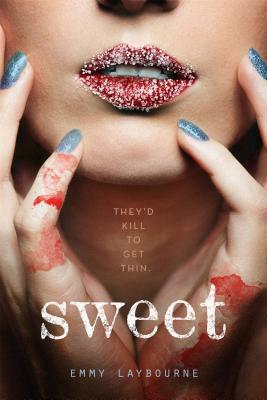 Today we’re celebrating the paperback release of Sweet by Emmy Laybourne, which releases on June 7th! It’s also got a brand new cover, which I quite like. The lovely people at Macmillan have offered my readers the chance to win a copy. Read a little bit about the book and enter to win using the Rafflecopter below. The luxurious celebrity cruise launching the trendy new diet sweetener Solu should be the vacation of a lifetime. But Laurel is starting to regret accepting her friend Viv’s invitation. She’s already completely embarrassed herself in front of celebrity host Tom Forelli-the hottest guy ever!-and she’s too sick to even trythe sweetener. And that’s before Viv and all the other passengers start acting really strange. 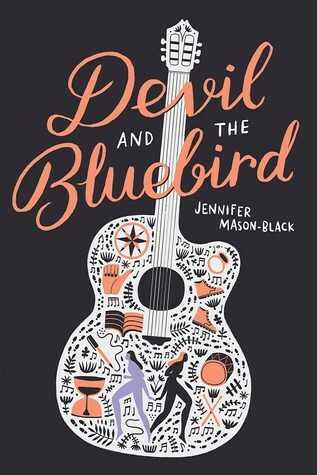 This issue of The Debut Dish features Julie Eshbaugh (Ivory and Bone), Jennifer Mason-Black (Devil and the Bluebird), Harriet Reuter Hapgood (The Square Root of Summer), Laura Tims (Please Don’t Tell), Anna Michels (26 Kisses), and Mike Lowery (Doodle Adventures: The Search for the Slimy Space Slugs!). A sweeping prehistoric fantasy romance. I was at home–which is a good thing because it was an emotional moment, so I’m glad I wasn’t at work! There were lots of follow-up calls while I was at work, though, and I worried that my co-workers would think I was interviewing because I kept slipping out to take calls on my cell phone. Oooh, there are a few. Hmm, I guess when the main character, Blue, takes part in a musical event held in an abandoned barn in rural Minnesota. Music and lantern light and everyone sharing what they have, even though most of them have very little. It’s the first time she’s played for a real audience, one made mostly of musicians, and it marks a change in her understanding of who she is and where she’s going. In my house, boringly enough. I had just walked in, and had my hands full of bags, and my daughter had a friend over, and I was trying not to let on what was up while I was on the phone. My kids knew what a call from Alice (my agent) meant, though, so everyone knew within a matter of minutes. A small turtle shell. We found it along the water this summer. I love turtles, and keep old shells whenever I find them. I also have a tiny mummified snapping turtle, but that doesn’t go on the desk. My favourite scene actually appears a few times, split up in vignettes throughout the book – a garden party on Midsummer’s Eve, with a roaring fire, a drunk grandpa, people scattered on blankets in the grass, and a first kiss… It’s a memory, taking place before the events of the book, and my main character Gottie looks back on it in several different ways throughout the book. I’m a freelance journalist and I was doing a shift at Stylist magazine in London when I got the first phone call from my agent, saying we had an offer. I had to hide in the stairwell and whisper into my mobile because I was supposed to be subbing a feature on superfoods to deadline. My desk is actually in storage right now, so it’s buried underneath a heap of cardboard boxes containing everything from shoes to spices to CDs. I miss you, little desk. Aw man, talking about my FAVORITE scenes would mean tons of spoilers. But there’s this one scene where one of my main characters, Grace, is lying in a field with a bunch of other kids, and she feels like it should probably be a special moment for her like it is for everyone else there, but she just feels sort of socially anxious and wants to go home. It’s a really weird favorite scene but I like it for some reason! At my job working in the library in college! I got so excited I accidentally left my shift half an hour early. I’m addicted to any form of cheese. Like it’s actually vaguely alarming how much cheese I can eat in one sitting. A shamrock plant named Cinnamon! There’s also a rock that looks like it has eyes. I need some sort of supervision. The ultimate summer love challenge! I was in my car on a lunchtime phone call to my agent! Then I had to go back in and work afterwards. It was a very long afternoon. Chips and salsa, with a good book in hand. All junk food tastes better while reading! I have a small bust of an emperor that I bought in Rome while I was living there as an exchange student. His name is Alexanderplatz, and he has stood by me for several NaNoWriMos, three and a half drafted novels, and more procrastination than I care to think about. 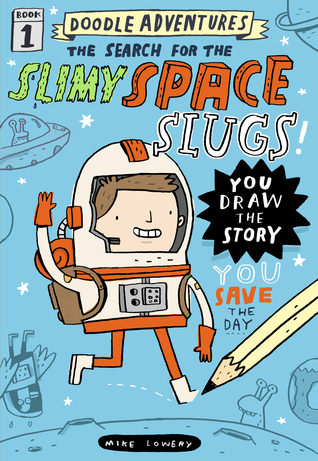 Awesome action adventure doodle book! The running gag of the book is that we (the reader) get to draw things that end up helping or getting in the way of a duck named Carl that’s always angry for some reason. In one scene we have to draw a special present for a space slug emperor’s birthday party…and it ends up getting Carl thrown into a dungeon. I was actually in the Workman offices pitching the idea. A heating pad for a cat. My wife bought it so the cat would quit laying on her computer while she’s trying to work. Welcome to my stop along the Nil on Fire blog tour, hosted by Macmillan Publishers! I’m a huge fan of the Nil series, and it all comes to and end with this final installment, out May 31st. I’m pleased to have author Lynne Matson on the blog today to show us her Nil on Fire mood board! I think it’s perfect, and hopefully it inspires you to check the series out! Followed by her mood board, read about Nil on Fire, the rest of the series, and Lynne herself. Jana, I had so much fun making this mood board, which I put together especially for NIL ON FIRE! NOF has three points of view: one guy, one girl, and Nil. Yes, the island finally gets its own POV! And, even cooler, through Nil’s point of view you actually see and hear from other characters too…so fans of books one and two will get to spend time with all their favorite characters (unless I already killed them off lol). For this board, I have the four main characters, two of which are separated by burning lava… which tells you which twosome the island is definitely coming between. :) And of course, Nil gets the last word at the bottom. Fun fact: All the island pictures included here are my own! I took them back in 2010, when I traveled to Hawaii on vacation–the very place that inspired the idea behind NIL. Without further ado, here you go! 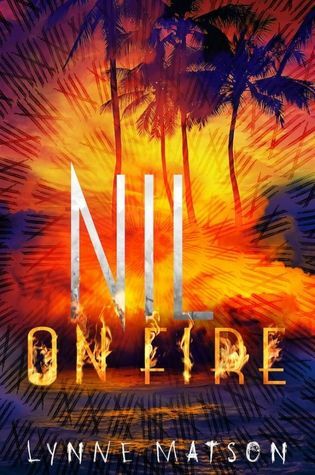 Nil on Fire… in pictures! Despite Rives and Skye’s attempt to destroy Nil, the island remains. And back in this world, Nil won’t let Skye go. Haunted by a darkness she can’t ignore, Skye wrestles with Nil nightmares that worsen by the day and threaten to tear her apart. As Skye fights to keep her mind intact, she realizes that to finally break free of Nil, she must end Nil’s vicious cycle once and for all–and she can’t do it alone. Who will return to Nil, and in the end, who will survive? In this thrilling final installment of the Nil series, the stakes have never been higher: everyone’s fate hangs in the balance, including Nil’s own–and Nil will fight to the death. When the full force of the island is unleashed, Skye faces an impossible choice, a cruel one she’d never imagined she’d have to make. Soon one Nil truth becomes painfully clear: only one side can win. Losing isn’t an option, but winning will cost Skye everything. On the island of Nil, the rules are set. You have one year. Exactly 365 days–to escape, or you die. Lost and alone, Charley hunts for a way out. 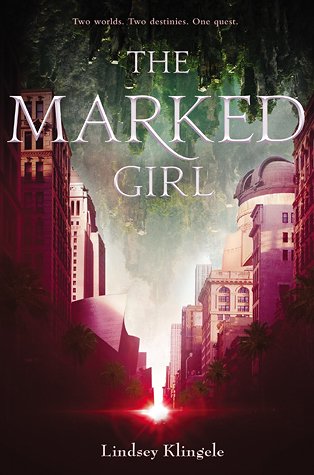 She discovers desolate beaches and human remains, but no sign of civilization–until she meets Thad, the gorgeous leader of a clan of teenage refugees. Soon Charley learns that leaving the island is harder than she thought… and so is falling in love. With Thad’s time running out, Charley realizes that to save their future, Charley must first save him. And on an island rife with hidden dangers, their greatest threat is time. 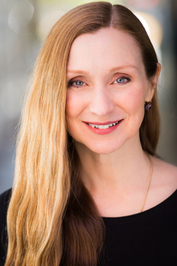 A former lawyer, Lynne thinks writing books for teens is much more fun. 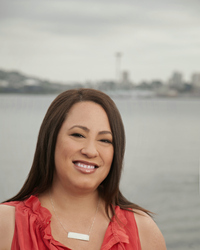 She’s the author of the award-winning Nil series, a young-adult trilogy about a mysterious island where teens have one year to escape, or die. 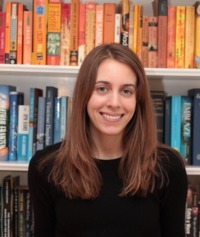 NIL was awarded a “Perfect 10” and a starred review from VOYA, and NIL was a 2015-16 Florida Teens Read Award Finalist and is a current Eliot Rosewater Indiana High School Book Award Finalist and a Missouri Gateway Readers Award Finalist for 2016-17. Lynne’s books have been translated into several languages and are on numerous state reading lists. NIL and NIL UNLOCKED are out now; the final book in the series, NIL ON FIRE, releases May 31, 2016. When she’d not writing books or reading them, you’ll find Lynne listening to music, going for a run, messing around with paint, or hanging out with her husband and their four boys . . . probably at the beach. Cookies are her kryptonite, especially Thin Mints. Her current Netflix obsession? ARROW. Welcome to my stop along the official blog tour for The Crown’s Game, hosted by Rock Star Book Tours! The Crown’s Game is getting wonderful reviews, and I’m so excited to read it. Plus, it’s a debut book so if you’re looking for Debut Author Challenge books his one fits the bill! 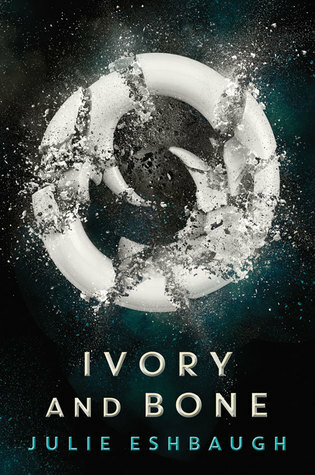 Read a little about the book and Evelyn, and then make sure you enter to win a beautiful necklace inspired by the book! Welcome to my spot along the Spark blog tour, hosted by The Irish Banana Review! 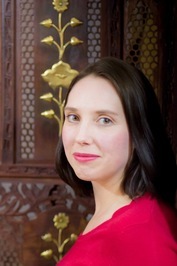 I’m pleased to turn the blog over to the author of Spark, Holly Schindler, for a guest post. what kind of character would you be and why? 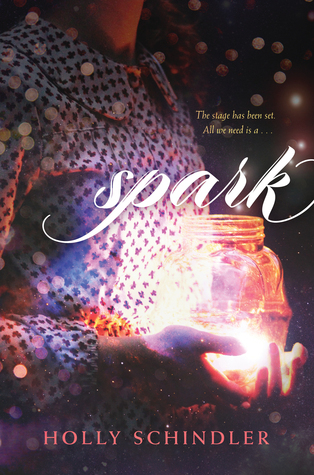 Following her post, read all about Spark and enter to win one of three finished copies of the book! 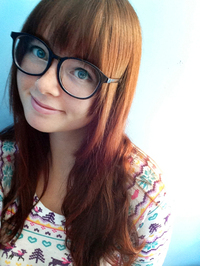 I’m also a little bit Cass—I’m a music junkie, and have always loved anything vintage. In high school, I wore more vintage clothes than new. And I’m a little bit Dylan—I was a really shy kid. You definitely didn’t hear my voice much in class. I’m not a stutterer—I didn’t have the same reason not to be a big talker—but I do know what it’s like to feel like the quiet one in a giant group of more extraverted classmates. 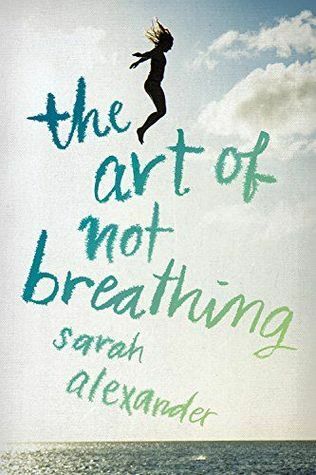 …And that brings me to one of the central themes of SPARK: Growing up, I also felt, just like all the kids in Advanced Drama, what it was like to be full of flaws. But the thing is, we ALL have flaws. Or at least, perceived flaws, both internal and external. We all have that voice inside our head that says we’re not quite good enough—that’s constantly musing about how great it would be to snap our fingers and fix our shortcomings. 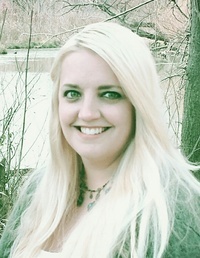 I’m a hybrid author of critically acclaimed traditionally published and Amazon bestselling independently published works for readers of all ages. My previous YAs (A BLUE SO DARK, PLAYING HURT, and FERAL) have received starred reviews from Booklist and Publishers Weekly, won silver and gold medals from ForeWord Reviews Book of the Year and the IPPY Awards, respectively, been featured on Booklist’s First Novels for Youth, School Library Journal’s “What’s Hot in YA,” and been selected as a PW Pick. Going hybrid means that I’ve been able to explore all sorts of new avenues—short fiction, sequels, I’m even going to be branching out into doing some illustrative work. Throughout 2016, I’m releasing one short story a month in the Forever Finley Short Story Cycle. The cycle begins with “Come December”. Also, in honor of SPARK’s release, Holly is holding a sale on PLAY IT AGAIN, the sequel to her YA romance, PLAYING HURT. For a limited time, PLAY IT AGAIN is $.99. 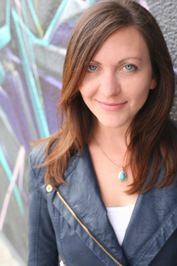 This issue of The Debut Dish features Erin L. Schneider (Summer of Sloane), Lindsey Klingele (The Marked Girl), Jenna Evans Welch (Love & Gelato), Sarah Jude (The May Queen Murders), Sarah Alexander (The Art of Not Breathing), Mia Garcia (Even if the Sky Falls), and Darcy Woods (Summer of Supernovas). 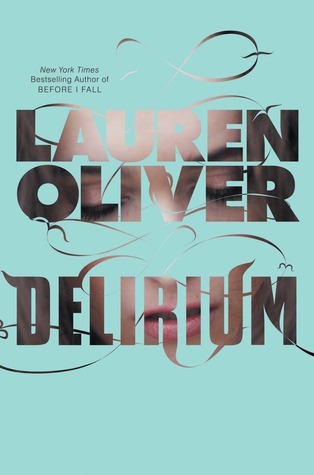 Heartbreak, possibilities, self-discovery, friendship, forgiveness. 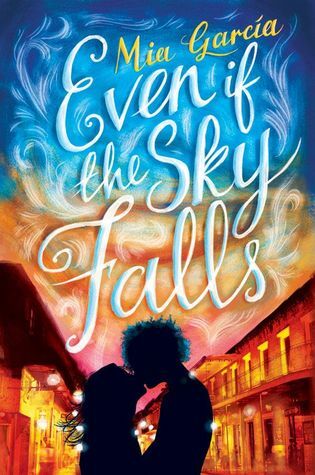 Finn takes Sloane to spend the day at a waterfall, and convinces her to jump — it actually ended up becoming the excerpt for the back of my book cover! It all happened so fast – 17 days to be exact. And I was at home when my agent let me know…good thing too, as I’m pretty sure you could hear me squee all the way to Hawaii! Haribo gummi bears – but only the red and the green ones! I love the scenes that take familiar fantasy tropes and drop them in the Los Angeles setting. In the ‘Storming the Castle’ chapter, the main characters have to get past obstacles (a Hollywood sightseeing bus), climb the gates (a fancy Beverly Hills hedge) and make their way to the ‘castle’ (a movie star’s mansion). I was on vacation, actually! A weekend getaway to Catalina Island was made a zillion times cooler when I got that call. 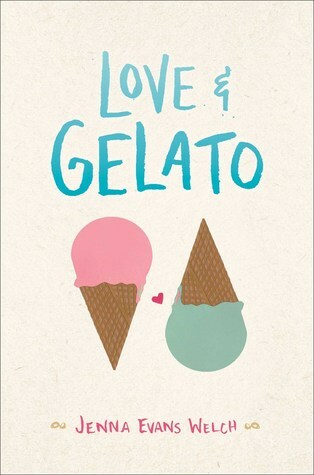 Love and mystery in Italy. The final scene! I don’t want to give too much away, but it takes place in an Italian cemetery on a summer night. At my son’s first birthday party. He’d just blown out the candle and I was surrounded by people I love. I never seem to work at my desk, so I don’t even know! There is a toy snake sitting next to me on the couch. 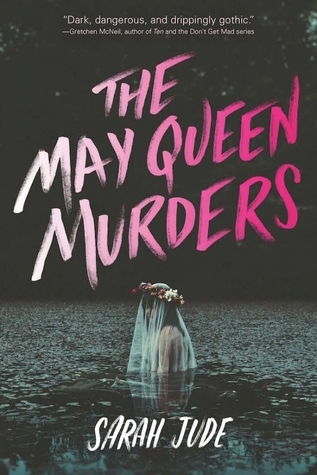 Murder, mystery, love, and madness. There’s a scene wherein Ivy is awakened early in the morning by her cousin Heather. The girls sit on the steps outside the farmhouse while Heather tells Ivy a secret. It is such an intimate moment yet also painful for Ivy as she realizes she is being left behind. In Target, with two of my kids on my niece’s birthday. My cell phone rang with my agent’s number as we were walking into the store, but I couldn’t hear her because of heavy wind. So we got inside to the food court where my daughter starts yelling at her brother and I promptly turned red and teary, which caused a woman to ask if I was okay. I was very okay. Reeses’ peanut butter cups. Always. An antique poison bottle and a miniature jar of wishbones. I love all the underwater scenes, and the ones with Eddie, but my favourite scene is the one in the garden with the paddling pool and the boat because it’s full of so much hope – a little glimpse of light in between all the shades of sadness. Getting married! Yep, I found out on my wedding day that I’d had an offer. Best day ever. Nothing odd, only really cool stuff – like a calendar of all the 2016 debut releases and lots of coloured pens. 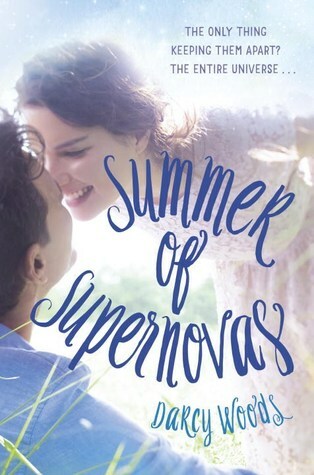 I loved every time I got to describe how my protagonist, Julie, felt like she dancing among the stars during Mid-Summer. At work, most likely avoiding looking at that particular email just in case it said something else. An empty Honeydukes jar. It’s odd because it is never empty, until today. I was visiting with my dad when my agent Catherine Drayton called. Pretty sure I broke all the glass with my shriek, and then I did this insane vacillation between laughing and ugly crying. I will never forget Catherine saying, “Darcy, you’re going to be a published author!” I emote out my eyes every time I think of the moment. My tuxedo cat Ceedo Bandito. She’s a marvelously strange hybrid of aquatic feline and heart thief. Hey there! I’m one of 25 official Apollycon 2017 bloggers so over the next year I’ll be giving you all the information on the conference so you know exactly what’s going on. Follow the Apollycon social media pages so you don’t miss anything important! Ok, so also… Today is the day we tell you all about Apollycon registration options and the different passes you can purchase. There are four: Titan, Apollyon, Demi-god and FAST PASS. Each one is different and provides you with different opportunities, so make sure you read carefully and pick the one that works best for you. IMPORTANT: “GENERAL” TICKETS FOR THE SATURDAY SIGNING ARE FREE! You will still need to register through the Eventbrite page, but there will be no cost for your general signing ticket. This will grant you entry to the Saturday signing, and all authors and vendors in attendance. Woo! So exciting! Which pass do you want to buy when the time comes? Of course, we have a giveaway for you! One winner will receive a “Front of the Line” pass for Apollycon which they may redeem during one of the Apollycon signings to jump the to the front of one line. It is a one-time use pass. ID must be presented when claiming the pass. It is transferrable. If you win and later find you cannot attend, you may transfer the pass once to another attendee. 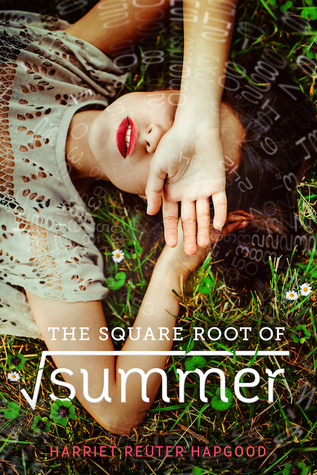 Happy book birthday to Harriet Reuter Hapgood and The Square Root of Summer! In celebration of Harriet’s debut Macmillan, in partnership with Macmillan UK, has put together and fun time capsule blog tour that focuses on capturing who we are right now. Some of us bloggers chose to answer a series of questions about ourselves in February and again in May to see how we’ve changed over those three months. Others opted to mail in a physical object that defines them. 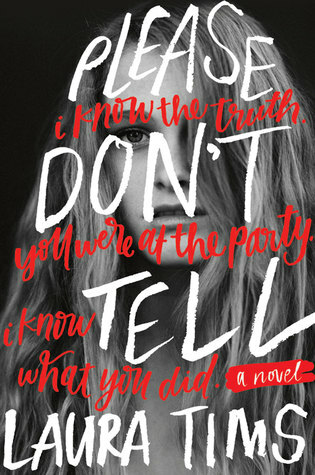 These objects are showcased over at FierceReads.com, so go take a look. I decided to answer the questions, and I set up two documents so that I could answer in May without seeing what I wrote in February. 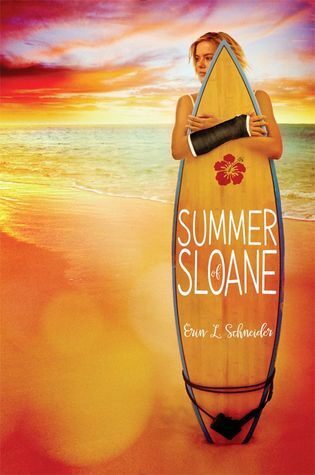 See how I’ve changed, and then read a little about this fun, summery book! February 2016: Turning in a grad school assignment. The earlier, the better. May 2016: At this very moment, I am feeling joyful because I finished another semester of grad school and feel so much lighter than I have in months. February 2016: Being done with the semester! May 2016: A relaxing summer with fun trips and tons of time to do what I want. February 2016: A marketing assignment for one of my classes. May 2016: I’m sick right now, and I’m worried it’s going to last forever. February 2016: Which classes I chose to take this semester. May 2016: I just got a haircut, and it was cut WAY too short! And make sure you stop by all the other participating blogs today!